Many camping fanatics will throw a fit if they hear that someone wants to access the internet while camping. Their opinion is that when you camp, you’re supposed to enjoy the outdoors and forget about technology. I enjoy the outdoors — a lot. But I enjoy checking my email, telling people what I ate for lunch on Twitter and posting odd pictures on Facebook, too. So, I can’t live without having access to the internet, even while I’m camping. The good thing is that you don’t have to. Below, I show you how to get access to the internet, and give you some tips on how you can avoid needing the internet as much while on your trip. You can access the internet while camping using the same methods for accessing the internet from home. The key difference will be the quality though. You’ll have to deal with slower and inconsistent connections due to your location, the weather and distance from you and the campground’s equipment. So you’ll want to brace yourself for that. With that in mind, here are some of the better options for accessing the internet while in the great outdoors. There are several options when it comes to mobile internet. Here are a couple that I recommend using. 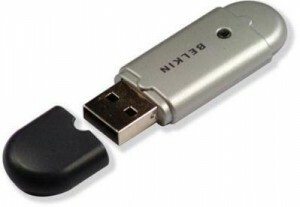 USB / Dongle – A USB (also known as a dongle) is essentially an external modem. These will set you back $10 to $75 (£10 – £50) or so depending on where you buy it from. If you plan on camping in different countries, you’ll want to make sure you can swap out the SIM card so that you can get access from different internet providers. If you do need to swap out the SIM card, make sure you buy an Unlocked dongle outright, as most times they are tied to the provider you purchased it with. You will pay more initially, but you can use it with any provider you wish. 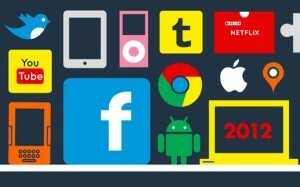 Monthly data cost starts as low as $10 (£10) per month, and possibly much more if you won’t be the only user. There are also some really good Pay as you Go options which means you are not tied to a contract, especially if you only need it for one trip. Tether – Tethering is using your phone as your modem. It connects to the internet, and you connect your phone to your computer. Many ISPs have special plans for tethering because it uses up more bandwidth. Keep in mind that your internet will be slower and you’ll drain the battery on your phone faster. So you’ll want to make sure you take a solar charger. Satellite internet is just as it sounds — you can connect a dish to the side of your camper or to a pole next to your tent, and it receives signal from dishes in space that receive signal from the ISP. It’s an elaborate setup for camping. I would only recommend satellite internet if you camp a lot and need to spend lots of time online while camping. 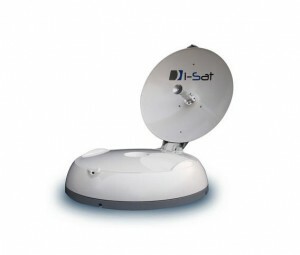 Satellite internet can be very expensive to setup, costing you $1,000 (£500) and upwards. Don’t forget that you’ll have a monthly fee of $50-$75 (£15-£50) to the ISP, too. 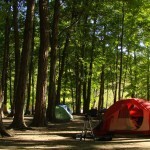 The best option you’re going to have is using the campground’s wi-fi, if they have it. You’ll have more consistent access when compared to the mobile options, and since the costs are usually included with the cost of staying there, it’s much cheaper compared to using satellite. It’s still wi-fi, so you might have to deal with connection issues depending on how far away you are, what’s between the router and you and the weather, but these things are, for the most part, easy to fix. Important Note – When shopping or researching your internet access options, be sure to check out coverage maps. You don’t want to buy internet access only to find out that it’s not available in the area of woods you’re camping. 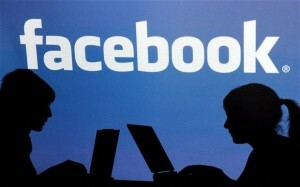 For one reason or another you might face difficulties getting online. It could be because of the weather or where you’re at in the woods. It might just be too expensive in terms of data. So, something you might want to do is minimize how much you’ll need the internet before you leave. Here are a few tips on how to do that. Download your files beforehand. Download all of your music, movies, games and books before you leave. These types of files use up a lot of bandwidth, ultimately slowing down your connection. It’s going to be much worse if you have to download these files out in the woods. Copy/paste your emails into Notepad. If you want to catch up on emails, what you can do is copy/paste them into something like Notepad. Write your response like normal. Then when you get back to civilization you can paste your response into your email and send it out. It’s a little extra work, but you’ll avoid needing the internet and you’ll have quiet time for catching up on emails. Setup an auto-responder. This will ensure you don’t need to email everyone that you might be without internet. These can be easily setup for Gmail, Hotmail, Yahoo and even Outlook. Leave someone else in charge. If you’re worried about staying connected for work, appoint someone in charge to answer all questions and handle tasks while you’re gone. So there you have it. You can get access to the internet while camping if you want to, but it won’t always come without it’s challenges or costs. Now it’s your turn. Do you have to use the internet while camping, or can you go without? If you need to access the internet, how do you do it and how well does it work? About the author: Hi, my name is Matt. I’m the co-owner behind www.PlugThingsIn.com, a site that answers your questions about internet access. 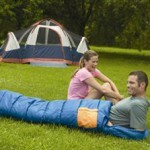 If you have any questions about accessing the internet while camping, I’d like to help you out. Just let me know in the comments below and I’ll answer ASAP! One response to "How To: Access the Internet While Camping"
I like to try and get away from the internet when I go camping. However, often that isn’t practical anymore, so I try to minimize my access so I don’t end up just working away from the office and ruining the chance of some getting away from it all time. I usually go for campgrounds with wifi.